What do molecules look like? What shapes do they have? Where do babies come from? These are some of the questions that have plagued mankind for centuries. Fortunately, I can answer the first two questions for you. For the third, you should probably do an Internet search. On second thought, maybe the Internet isn’t the best teaching tool. Anyway, let’s learn about bond angles, shapes, hybridizations, and just about everything else besides the babies thing. Incidentally, if you don’t know how to draw Lewis structures, have a look over here first. VSEPR stands for Valence Shell Electron Pair Repulsion. That sounds pretty complicated, but it actually describes itself in a useful way. You see, all this term means is that the outer electrons on an atom repel each other. And since electrons all have negative charge, this probably doesn’t come as much of a surprise. To put it another way, how are the atoms arranged in a molecule? 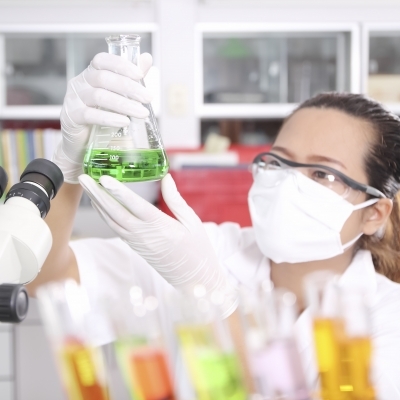 VSEPR tells us that they’ll arrange in whatever way separates them as much as possible. Just as other children are repelled by this child, electron pairs also repel each other. This VSEPR thing explains why molecules have their shapes. If carbon has four atoms stuck to it (as in methane), these four atoms want to get as far away from each other as they can. This isn’t because the atoms necessarily hate each other, it’s because the electrons in the bonds hate each other. That’s the idea behind VSEPR. Hydrogen (left) has only two atoms so cannot have any bond angle (it takes three points to make an angle, after all). 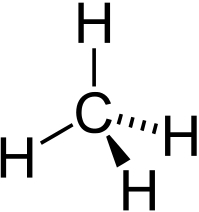 Acetylene (right) has all of the atoms in a straight line, giving this molecule a 180 degree bond angle. Other shapes: There’s a lot, but I’m not going to worry about them now. Maybe if I update this page at some point. But not soon. Imagine that you’re an atom with a whole bunch of other atoms stuck to it. Though we just finished saying that all of these atoms want to be as far from each other as possible, our s-orbital is spherical and our three p-orbitals are at 90 degree angles from each other. How, then, can we get a 120-degree bond angle using these orbitals? As it turns out, when atoms get involved in bonding stuff, the electron pairs on each atom all exist in something called hybrid orbitals. These hybrid orbitals consist of some combination of the s-, p-, etc orbitals that allow it to achieve angles that can keep the atoms far apart from each other. All electrons in single bonds and lone pairs are in these hybrid orbitals, while electrons in multiple bonds are not. Examining the wonders of methane, you see that the carbon atom has four bonded atoms (the dashed one is just another bond) and no lone pairs. As a result, there are four hybrid orbitals required. Generally speaking, we get hybrid orbitals by mixing an s-orbital with one or more p-orbitals. In this case, we need four orbitals (one for each atom) so we mix one s-orbital with three p-orbitals to make four sp3 orbitals. When we mix these orbitals, the bond angles also change so all of the atoms are as far apart as possible. Though s-orbitals are spherically-symmetric and p-orbitals are at 90-degree angles from one another, this mixing of the orbitals yields a 109.5 degree bond angle in methane. Examining this structure, you see that nitrogen has three single bonds (one to each hydrogen) and one lone pair. 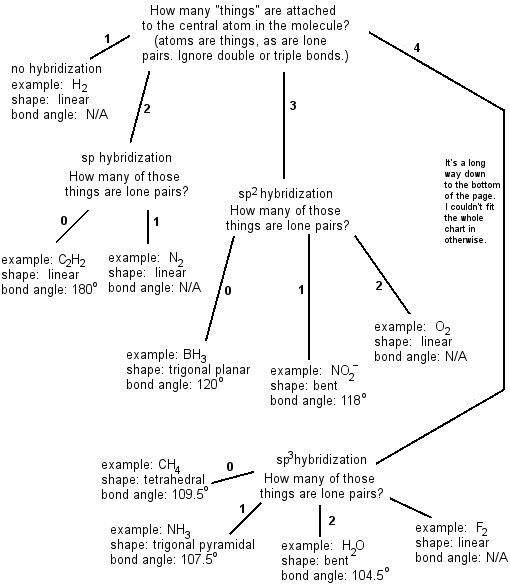 Because both lone pairs and single bonds need to go into hybrid orbitals, ammonia is also sp3 hybridized. (Note: The bond angle is actually 107.5 degrees, however, because the lone pair shoves the other atoms a little closer than the 109.5 degrees one might expect). I realize this is a very long chart – sorry about that. However, if you do a bunch of practice problems while using this chart, I think you’ll find before long that you don’t need it anymore. It’s like when you have one of those tests where you’re allowed to bring in a notecard – more often than not, you’re so used to the material that you never look at it anyway. 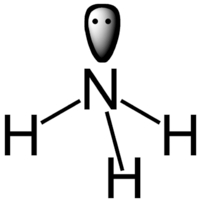 Fun fact: This compound is used in fumigation because it kills pests. Question 1: How many things are stuck to the central atom in the molecule? The phosphorus atom has three hydrogen atoms stuck to it, plus one lone pair. As a result, it’s got a total of four things on it and sp3 hybridization. Question 2: How many of those things are lone pairs? Well, we just said that there was one pair on the central atom, so we’ll have to go with one. When you follow that particular line down the flowchart, you find that the molecule is trigonal pyramidal with 107.5 degree bond angle. Which is true! Phosphorus trifluoride is about as toxic as phosgene, which was used in WWI as a chemical weapon. So don’t breathe too close to the screen. The phosphorus atom has three fluorine atoms stuck to it, plus one lone pair. As a result, it’s got a total of four things on it and sp3 hybridization. There’s one lone pair on the central atom. Though the fluorine atoms each have three lone pairs, we ignore them, as we’re only talking about the central atom. Like ammonia, then, following that line line down the flowchart you find that the molecule is trigonal pyramidal with 107.5 degree bond angle. Which is true! You may be wondering what to do about the double bonds in this molecule – the answer is that you shouldn’t do anything at all. Ignore them. They’re not important from a VSEPR standpoint. As a result, we’d just say that we have two things stuck to carbon: The two oxygen atoms. There are no lone pairs on carbon, so we’d say zero. 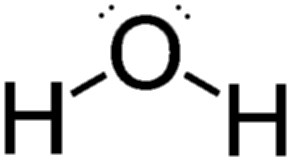 As in the last case, the lone pairs on oxygen don’t matter because they aren’t directly stuck to carbon. Following the appropriate lines, we find that this molecule has sp-hybridization, is linear, and has a 180 degree bond angle. This is a picture of a nonscientist. You can tell because all of the bottles have interestingly-colored liquids, which is something you hardly ever see. 1) sp3, tetrahedral, 109.5 degrees. 2) sp3, trigonal pyramidal, 107.5 degrees. Crash course chemistry: Orbitals – A simple description from my favorite online scientists. Crash course chemistry: Bonding models and Lewis structures – Another good one from the same folks. If you draw methane, you probably show each of the hydrogen atoms at right angles to one another. In a plane, this is the furthest the four things can get from one another, but remember, we’re working in three dimensions where isn’t the case. In the case of ozone it’s actually 116 degrees, because it’s an awesomely charged molecule. A better example would be nitrous acid, but that’s a little harder to visualize. Immoral filth from the Internet: Image courtesy of marcolm at FreeDigitalPhotos.net. 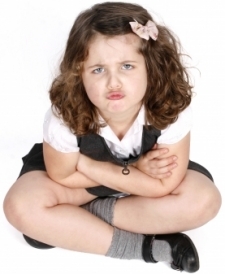 Annoying child: Image courtesy of Clare Bloomfield at FreeDigitalPhotos.net. Pretend scientist: Image courtesy of somkku9 at FreeDigitalPhotos.net.